​Only a runner knows the feeling. Whether it’s for the feeling you get when you run a personal best, or simply to be your best, we understand where you are coming from. We all run for different reasons. Some run to compete against themselves and others. Some run to get fitter, or to get healthy in the first place. 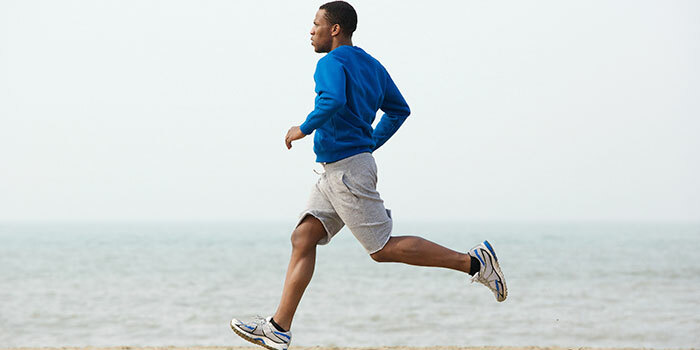 Whatever your motivation is, Podantics Podiatry has the skills and knowledge to keep you moving in the right direction. Are you an experienced runner looking for that extra edge? Are you looking to become a more efficient runner? Are you new to running and don't quite know where to begin? ​Do you want to know what shoes to wear and how to run well? Have you started running recently and picked up an injury? Or are you currently injured and trying to get back to your training? At Podantics Podiatry, we take the time to fully understand you, your needs, goals and situation. Then, we apply the latest technology and techniques to properly assess, diagnose and treat your condition. Whether it be a full gait analysis, plantar pressure analysis, muscle length and strength testing or a review of your running shoes, we have the tools to keep you moving forwards towards your goals. Using state of the art force platforms synchronised with digital video cameras, our Podiatrist’s are able to provide an accurate clinical analysis of your posture, balance and gait. A foot that does not function properly puts excessive strain on bones, ligaments and muscles, ultimately leading to pain and discomfort. We treat Heel Pain, Achilles tendonitis, Plantar fasciitis and other foot and ankles problems every day. Stay ahead of the competition with the ultimate in foot technology to ensure you gain a competitive edge over the competition. Our orthotics are designed to alleviate pain and manage conditions experienced by running to keep you running.